Nelson Mandela, former patron of SCOUTS South Africa, was a man that not only inspired a nation and many generations, but who gave true meaning to the principles “duty to God, duty to others and duty to self”. 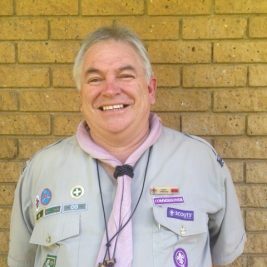 In 1976, the South Africa Scout Association took the courageous and unprecedented step of defying an unjust system and opened its doors to all young South Africans in a single united Association. Upon becoming President of South Africa in 1994, Dr. Mandela recognised this pioneering role of Scouting in integrating South African society when he accepted to become the Association’s Patron. Under his patronage, the Scout Movement made tremendous progress and is one of the largest youth organisations in South Africa. In recognition of his commitment to the dignity and freedom of all people, his support for the development of young people and their education, and his contribution to the growth of Scouting in South Africa and beyond, Madiba was awarded the Africa Elephant Award, the highest Scouting Award given by the Africa Scout Committee on the African Continent. The Africa Elephant Award was presented to him on the 23rd of April 2004 by the former Vice Chairman of the Africa Scout Committee, Nkwenkwe Nkomo, who was also the Chief Scout of South Africa at the time. Madiba valued education and recognised it as the vehicle for the advancement of the people of Africa. He also never wavered in his devotion to democracy and equality as he remained steadfast and true to his beliefs. His life has been an inspiration to all who were and are still oppressed and deprived. SCOUTS South Africa recognises and praises this commitment to humanity.